Interstellar War One: The first truly intergalactic conflict for humanity, this war was sparked over tension between the Terran Federation and the Khanate of Orion, a race of cat-like beings who had a much larger empire than mankind. A six-year series of battles ended with slight human victory, leaving the opening for a much larger and more deadly conflict 16 years later. 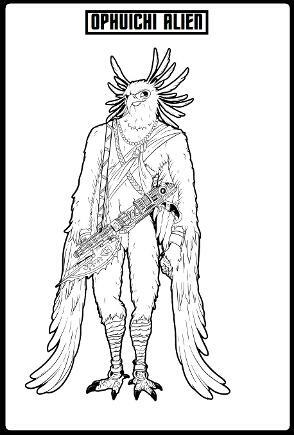 Interstellar War Two: A multi-sided battle between humanity and the Khanate of Orion and a newly discover bird-race (the Ophiuchi) who eventually sided with humans and brought about an end to this two year war. 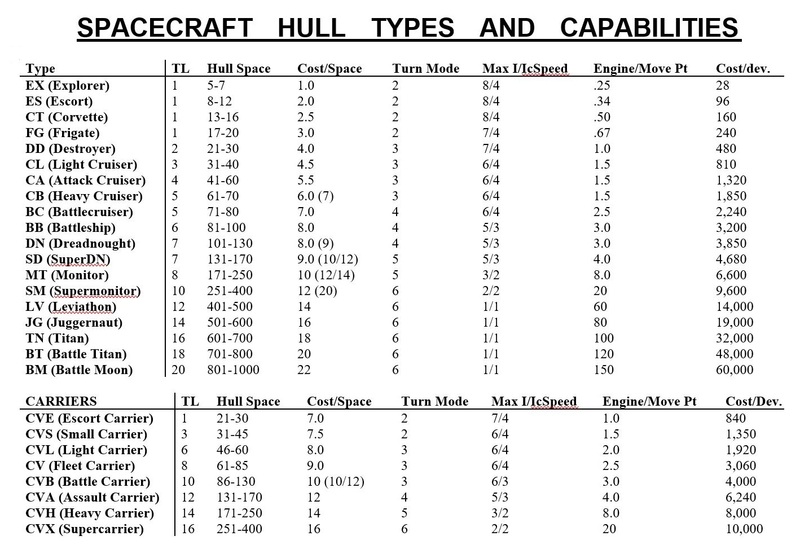 ISW2 was marked by the first large and decisive fleet battles. Interstellar War Three: A four-way conflict between the genocidal Rigelian Protectorate on one side and humanity, the Orions, and the Ophiuchi, the conflict ended after three bloody years with a allied race victory and the total destruction of the weasel-like Rigelians. However, billions of allied civilians were wiped out by the fanatical Rigelians before they could be stopped. The first large scale genocidal war in galactic history. 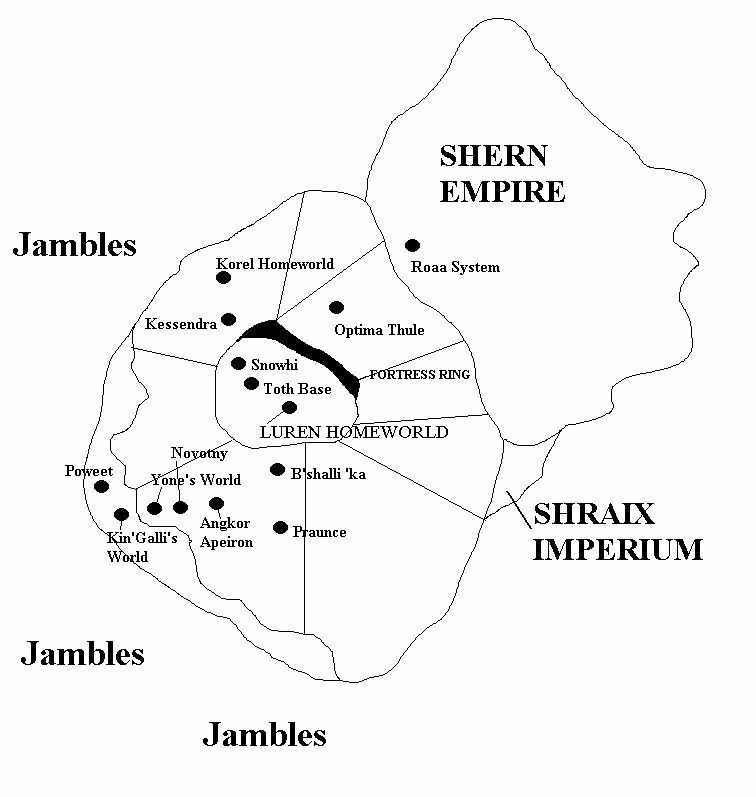 Theban War: A desperate war fought between the non-human Thebans and mankind, this war lasted four years due to the fact that the Terran Federation Navy was badly understrength at the beginning of the conflict. 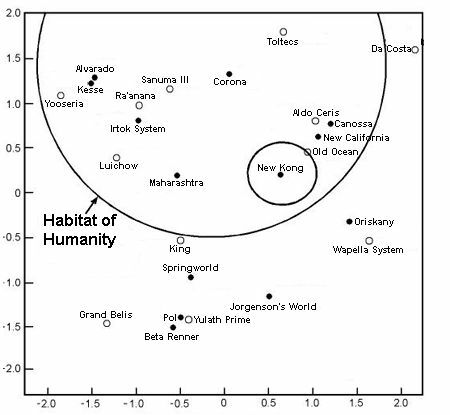 Humanity eventually won the war and occupied the Theban Homeworld. 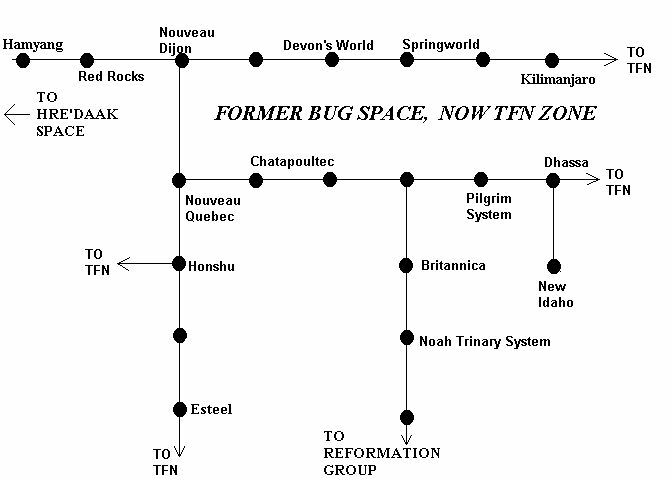 Interstellar War Four: The longest war to date (ten years) and by far the bloodiest, ISW4 war fought between the genocidal Arachnid Omnivoracity and the Allied Races: mankind, the Orions and Gorm, the Ophiuchi, and the newly discovered multiracial Crucian Union. The Terran Federation had a large navy at the time and effectively blocked the invading Bug forces in the fringe area of the Federation but billions of civilians were eaten alive when the Arachnids overran human and Orion colonies early in the conflict. The war ended with the total annihilation of the inhuman Bugs, and the loss of some of history's greatest heroes: Admiral Hannah Avram, Admiral Ivan Antonov, and Admiral Andrew Prescott. Insurrection: A devastating civil war that ripped apart the Terran Federation, the "Insurrection" (also known as the Terran Civil War, or TCW) lasted years due to the fact that humanity had not forgotten the lessons of being militarily unprepared from the Theban War and had large standing warfleets spread across Federation space. The more heavily populated core worlds of humanity joined the newly forming Pan-Sentient Union (with the Orions) while the "Fringe" worlds created their own state. This brutal six year fight cost humanity more lives than all its' previous wars combined. Also known as the "Fringe Revolution". 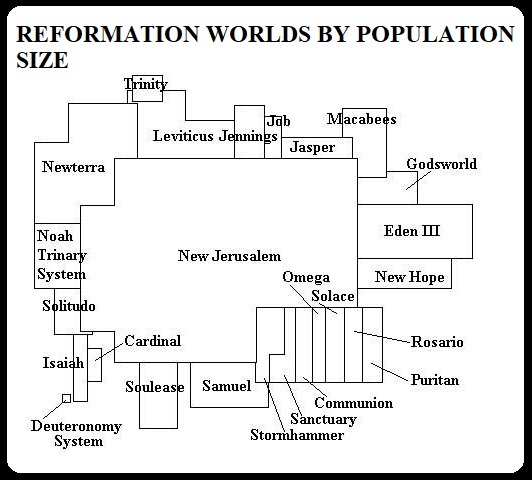 The Reformation Conflict too place during this timeframe. 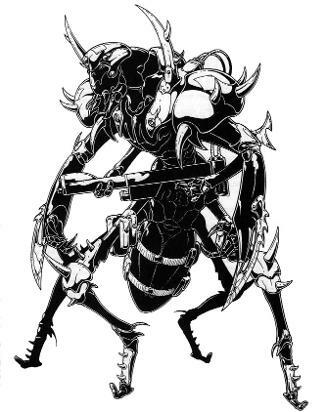 Second Arachnid War: Although they were thought to have utterly perished in ISW4, some surviving Bugs tried to revive their former empire a few years after that conflict ended. Early discovery by the Reformation Group (a Fringe world polity) halted their efforts only after the Pan-Sentient Union sent major fleets to bomb them into oblivion. 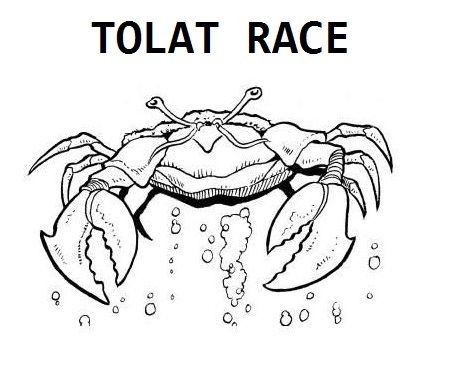 Revelation of the uber-tech and crab-like Tolat race took place during this conflict, which lasted four years. Olympus Affair: A crisis which threatened to tear apart the joint human-Orion Pan-Sentient Union. 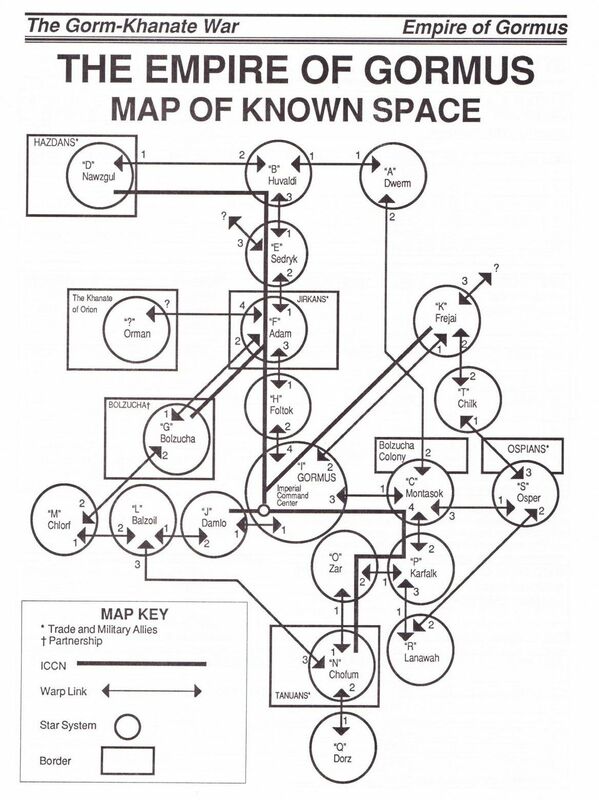 Discovery in human space of a quadruple star system with eight habitable worlds sparked a colonization crisis among the human and Orion parts of the federal PSU government. The four month affair ended when half of the Olympus System worlds were given to the Orions to colonize, but left a bitter taste in the mouths of many humans. Armageddon War: The war to end all wars, invasion of known space by the ancient and highly technological Hre'Daak race brought about the most deadly conflict that anyone has ever seen. 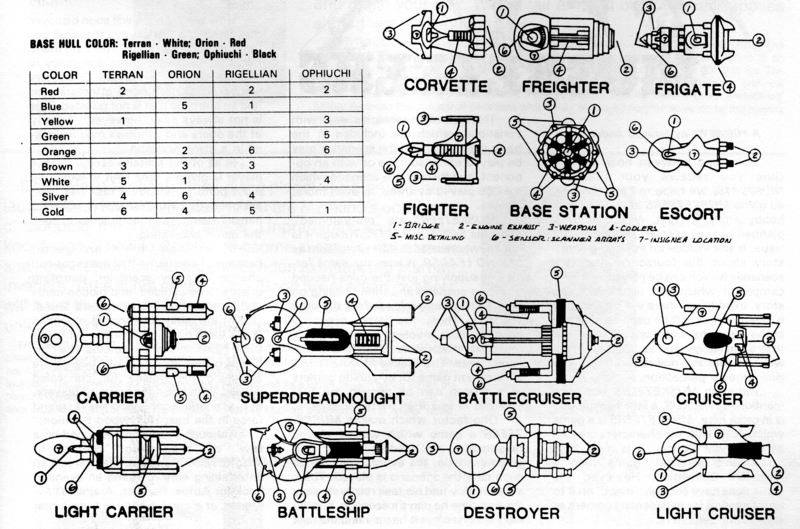 Hundreds of PSU warships were crushed by Hre'Daak uber technology and entire star systems were induced to nova by Hre'Daak weapons. Terra herself and the Orion capital were both reduced to smoking balls of ruin before the PSU and her allies could finally halt the Hre'Daak advance. Humanity suffered greatly during the war and most galactic states collapsed in on themselves after the fighting stopped, and the galaxy would never be the same. The Rao are discovered a year before this event occurs. Palma Sola combat, Reformation combat. 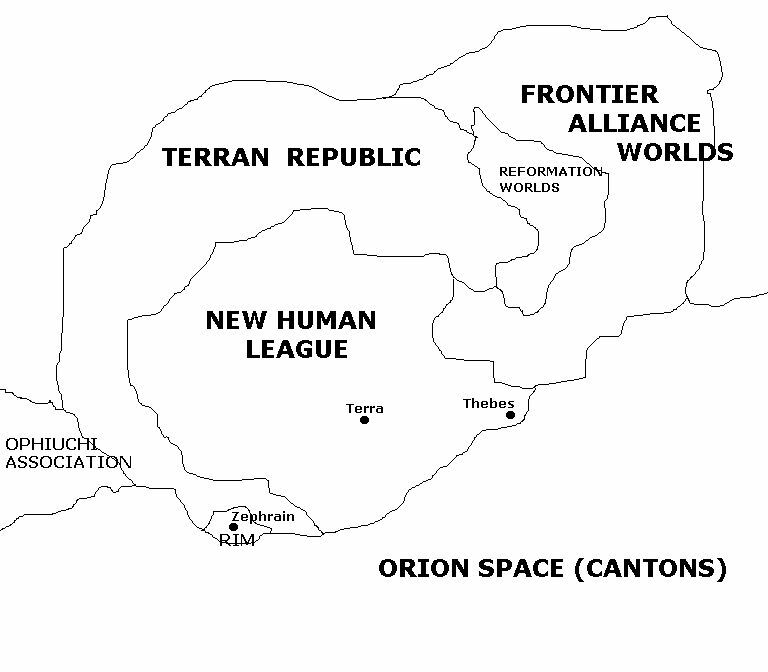 This is a map of the core worlds of the Terran Federation before it joined with the Orions into the Pan-Sentient Union (PSU). These planets are known as the "Heart Worlds" and are the economic and military center of humanitys' interstellar empire. 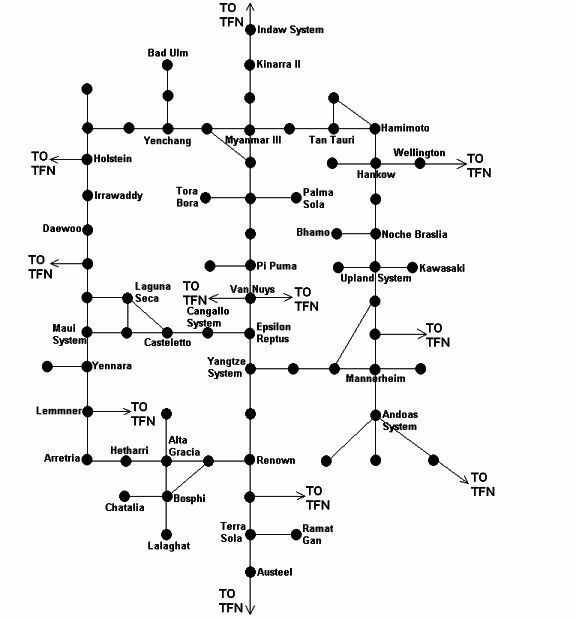 Many of these star systems came under attack during the Armageddon War. 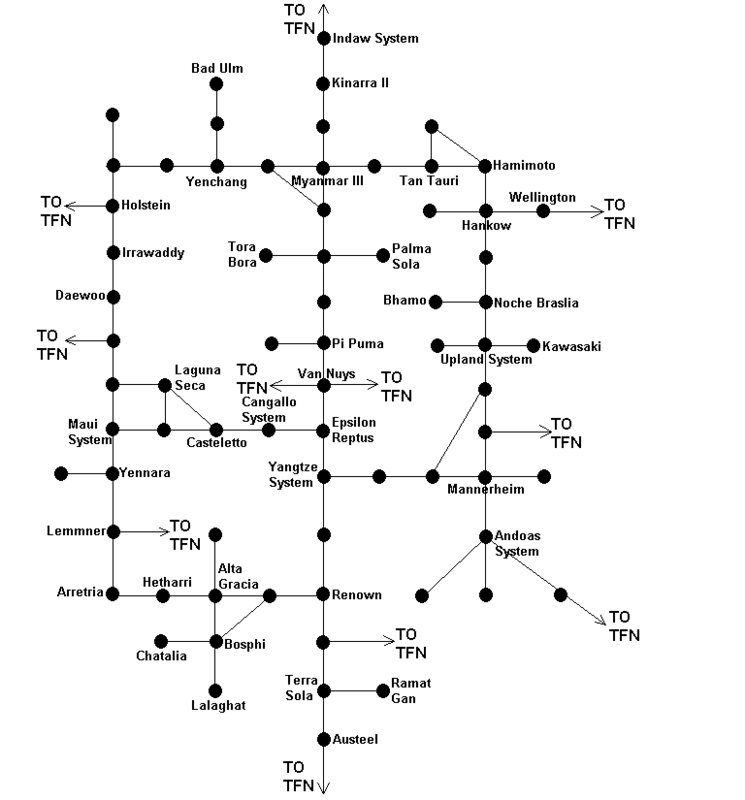 While this map is not mine, you can use this map for your websites. Allies of humanity during the Fourth Interstellar War against the "Bugs". The Crucians and their partners the Zarkolyans had been fighting against the Arachnids for years before they discovered the humans, Orions, and their allies. Both sides joined forces and eventually destroyed the Arachnid Omnivoracity during the decade-long conflict. The Crucians and Zarkolyans later became isolationist powers. 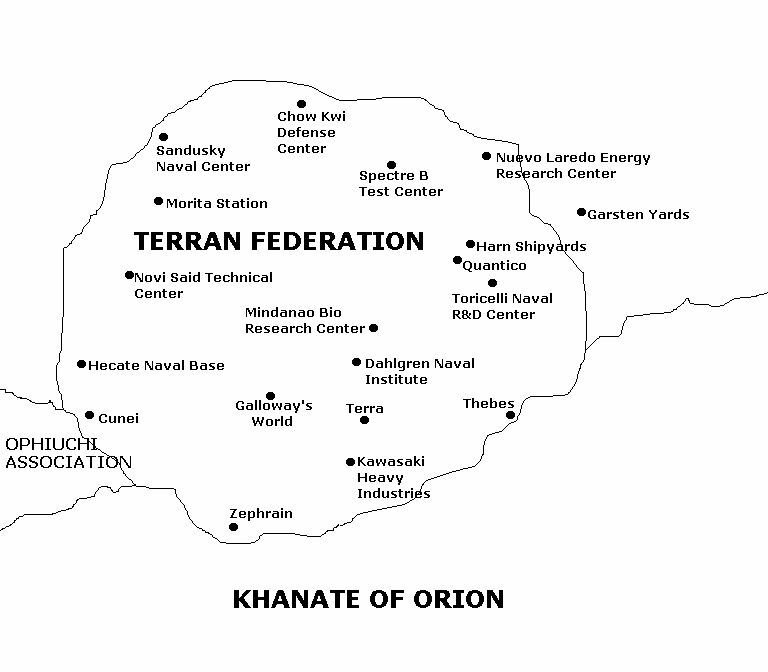 At the end of the Second Interstellar War the Khanate of Orion was prostrate; more than 60% of its battlefleet had been annihilated by the humans and their Ophuichi allies. Another conflict was sparked immediately after the war ended with the Empire of Gorm, a second-rate power that lay within the borders of the Khanate. The two year conflict see-sawed back and forth until the superior economy of the Orions finally overwhelmed the Gorm, forcing them into submission. 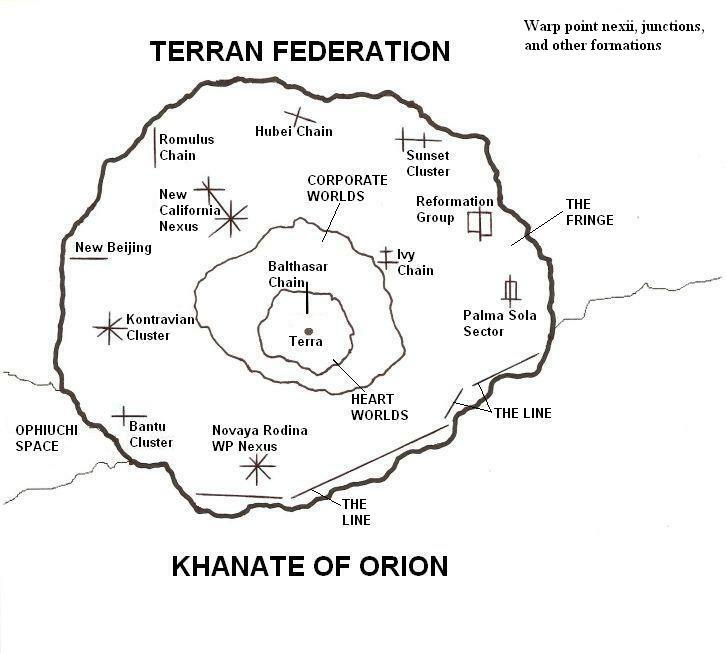 At the end of the war the Orions didn't genocide the hard fighting Gorm aliens but amalgamated them into the Khanate as a co-equal but subject race. The Ophuichi are an alien race with a small interstellar empire located between the human-led Terran Federation and the cat-like Orions. They have been allied with humanity in several devastating galactic wars. 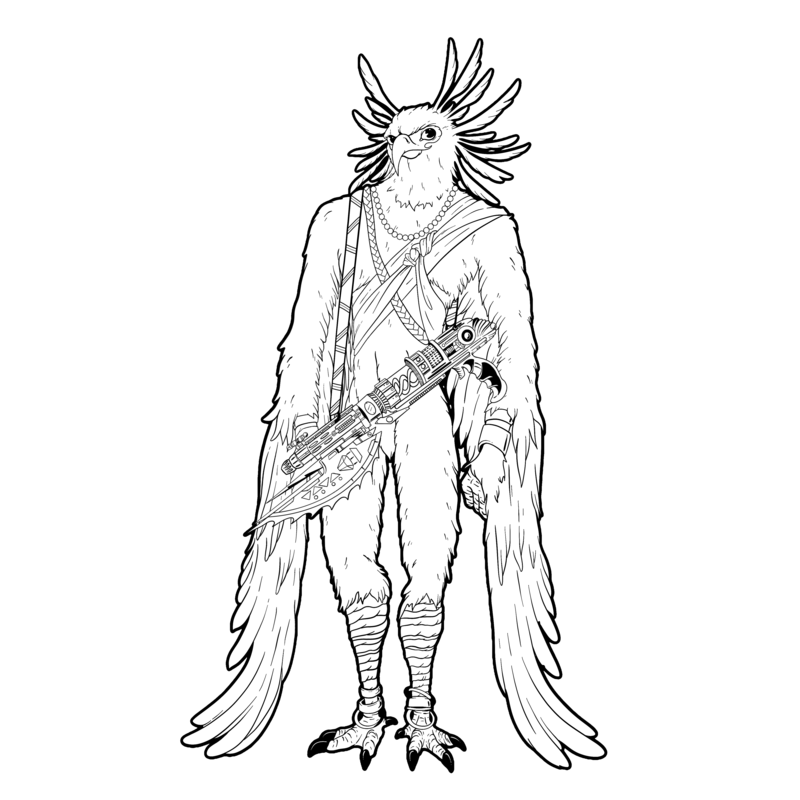 As a species, the Ophuichi are avian in appearance and they are fantastic fighter pilots as a result of their ancestry. Before the outbreak of the Armageddon War, the Ophuichi Association joined the Pan-Sentient Union as a "associated power", similar to the Gorm. Ophiuchus is the homeworld of the Ophiuchi race and capital of the Association, but it is also a beautiful Earth-like planet that is several times larger than Terra. Although it is a very large world, Ophiuchus is very metal-poor and as such it has a lower gravity than humanity’s homeworld. It is also major cultural center and a hub of scientific research within the Association. An enormous amount of information from the Skymarshals can also be downloaded at the bottom of this page, including many items I was unable to fit into the magazine. Enjoy! 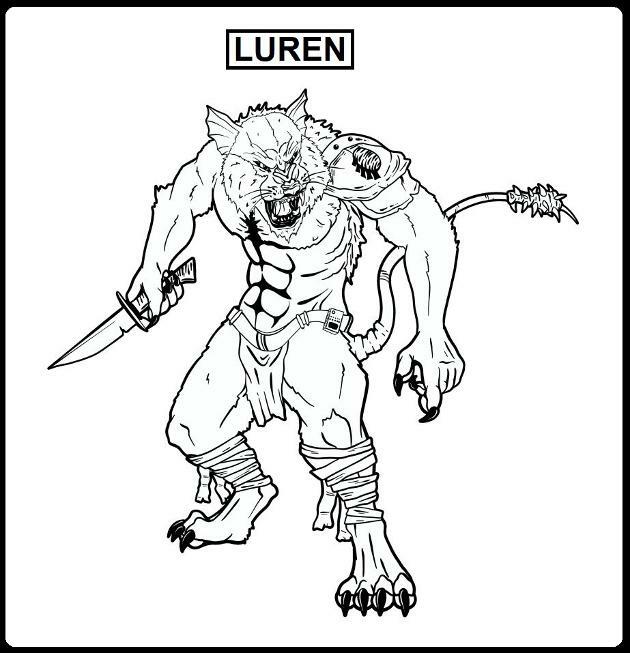 As descendants of stalker/hunter stock, the Luren appeared to have adapted very well to space travel, and indeed colonization of other worlds. Most aggressive predator-sentients are usually strongly tied to their homeworld (the AAnn, Pitar, and the Ghast for example), but apparently the Luren, who are similar to Old Earth's white tigers, made the leap into interstellar space without much stress or xenophobia. Their aggressive nature seems to have continually pushed them forward, both technically and geographically. 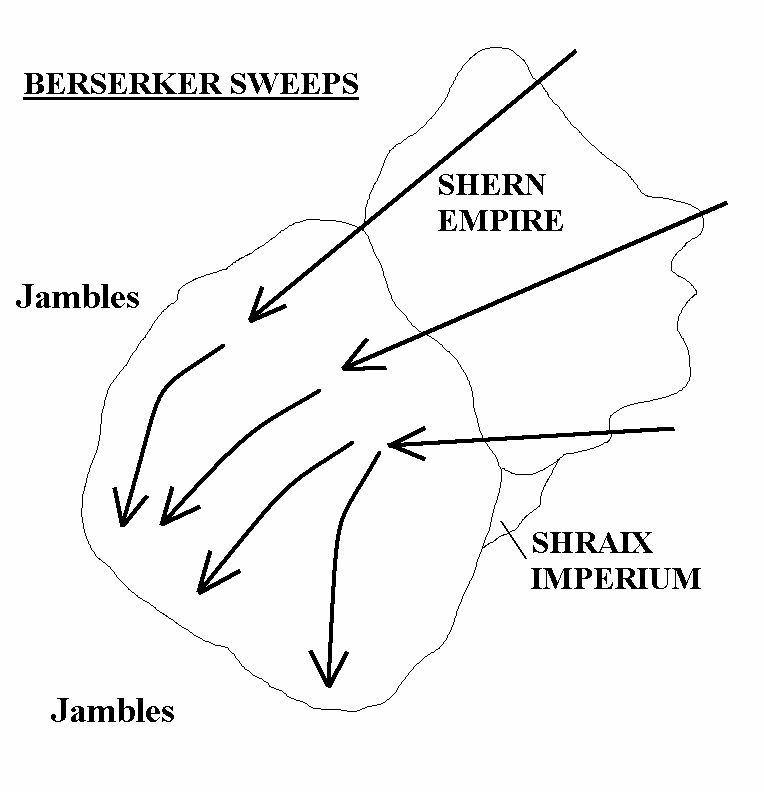 Their continuous war against the large Shern Empire diverted attention away from internal strife (ie the historical Pride Wars) and also encouraged a continual arms race. 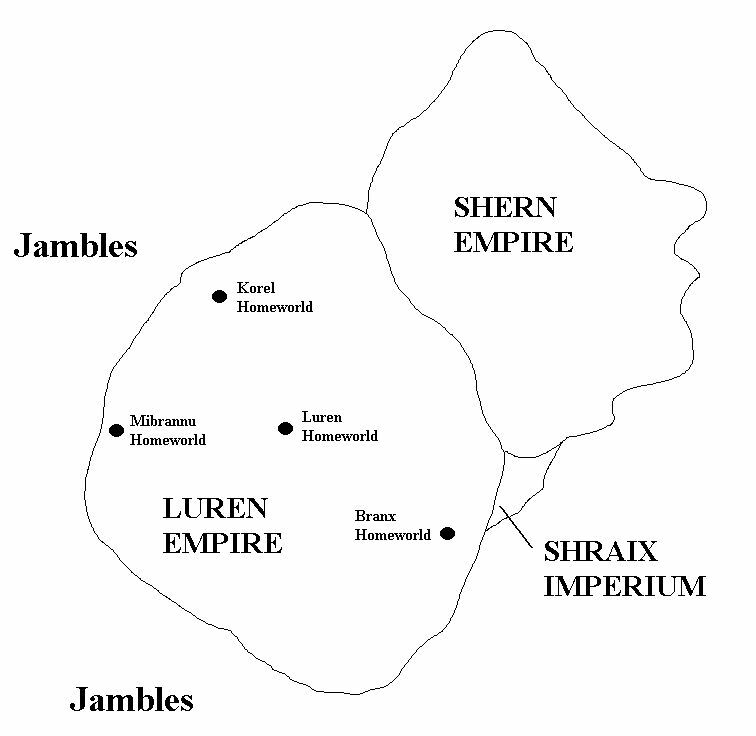 The focus on the Shern apparently allowed the central government on the Luren Homeworld to spend what would be considered in the Terran Federation as exorbitant amounts of money on defense, including a massive fortress ring which surrounded the core worlds of their Empire. Built by the Pan-Sentient Union as its largest warship ever, the human warship Tiamat (a juggernaut-sized vessel) became lost on her way home from the warfront after passing through a highly unstable warpoint at the end of the Armageddon War. 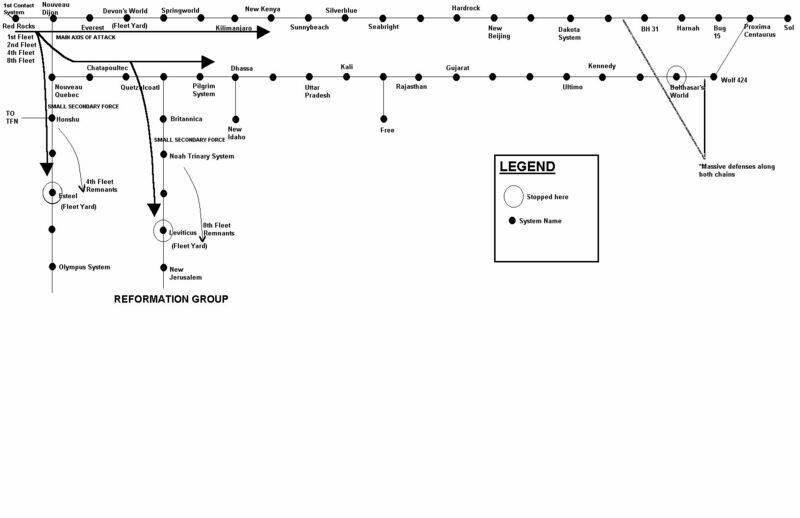 Lost, several years passed before the surviving crew could find their way home, after discovering many different new races in the Sagittarius Arm of the galaxy. The Tiamat also found the Tolat homeworld and the super conglomeration of races known as Civilization. This is the story of the crews'' adventures back to Known Space. NOTE: I will be doing a series of short stories in the future in this setting, and no it wont be like the USS Voyager storyline. 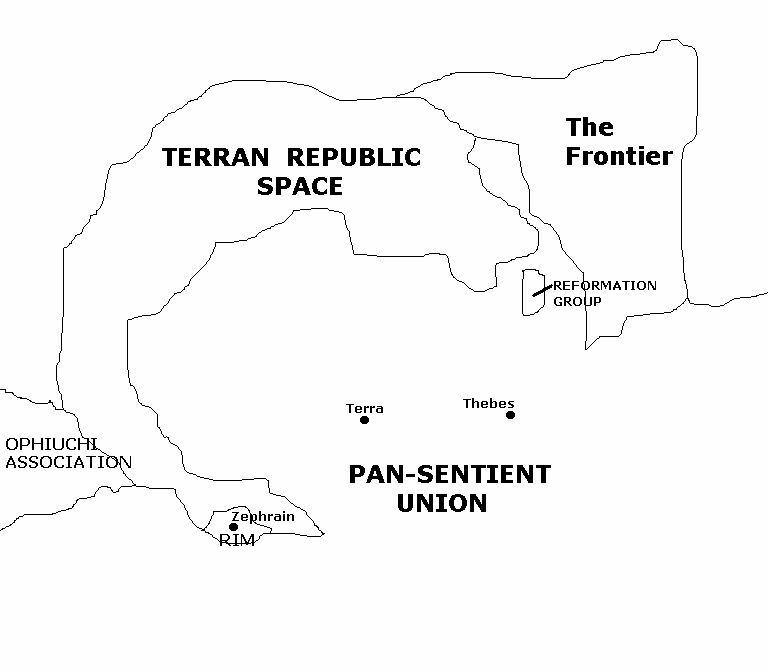 The Palma Sola District of the Terran Federation is a rich and fairly populous sector of space that is located near the supergiant star Antares. The region was discovered in 2144 and was noted for the large number of human habitable worlds. Over time, the area became heavily populated and fabulously wealthy. 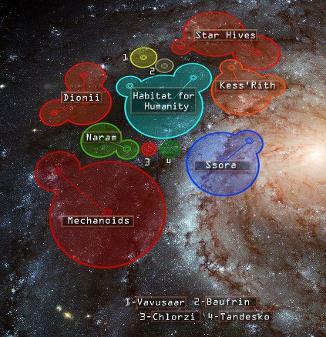 When fighting finally broke out in 2464 between the newly integrated Pan-Sentient Union (PSU) and the Hre'Daak, the Palma Sola District found itself on the front-lines of the galaxys' worst-ever fighting. By the end of the war the entire area was badly damaged, with over 12 billion civilians being killed in devastating nova bomb attacks. Enemy forces withdrew after the destruction of Terra, and the region became semi-independent after the break-up of the Pan-Sentient Union into its' component parts in 2466, with Governor Crow ruling the district for over 20 years thereafter. 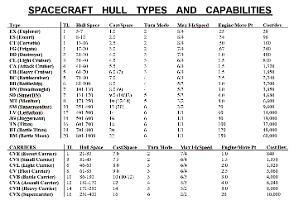 moon bases were moved to more secure locations within the Group while military forces still occupied the strategically important Toricelli Naval R&D Center. 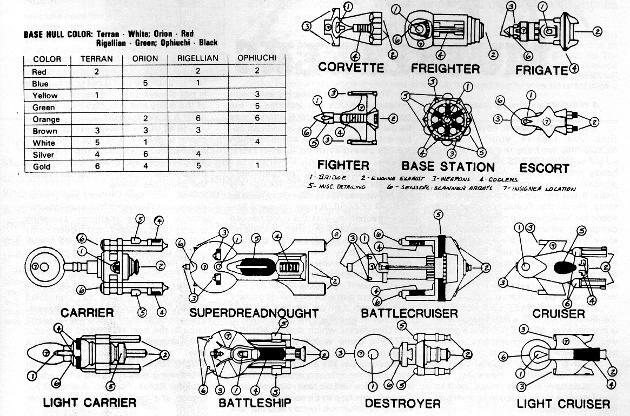 Located in Deuteronomy, the Toricelli Center was the site of the Boneyard, the long-term storage facility set up to hold out-of-date warships (for refitting or scrapping) and the huge Jehovah Station Fleet Yards. During the Arachnid War the Terran Federations’ first monitors were laid down here (the TFNS Horatio Spruance and TFNS Thomas Anderson) as well as the leading units in the Minerva Waldeck-class MT/V (the TFNS Antonio Lopez) and during the Terran Civil War the first Fringer heavy capital ships were laid down here as well; the RNS King Solomon and the RNS King David (both Christ the King-class supermonitors). Toricelli was also the site of the First and Second Battle for Deuteronomy and the location of initial contact with the crab-like Tolat race. The planet Deuteronomy was (accidentally?) depopulated by Federation forces during the brutal fighting of the Terran Civil War when a Federation battleship ignited the planets' volatile atmosphere, an event which sparked the uprising in this region. Nearly everyone in the Rim Federation has heard of the Rao: prolific, aggressive, large insectoids. Stumbled upon by a Rim survey group just prior to the outbreak of the Armageddon War, the Rao have been beaten brutally down but the forces that did so have not hung around to lay claim to the deed. 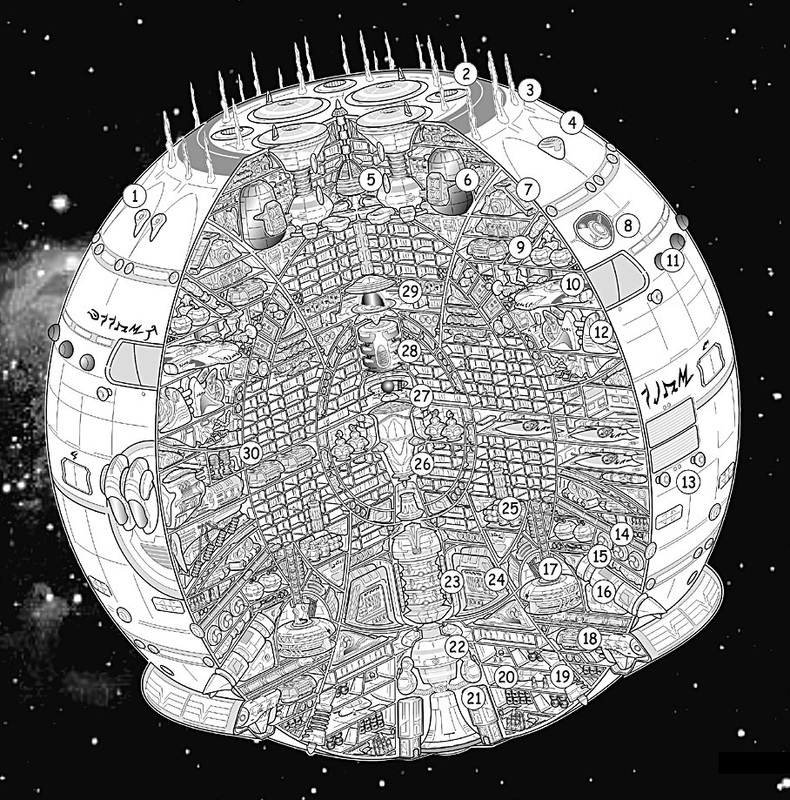 Curious and aggressive, the Rao developed space travel nearly 9,000 years ago (according to their data records) and became a truly powerful interstellar society within a small isolated pocket empire near “the Jambles”, a vast network of unstable wormholes. Their exodus to the stars was, in part, instinctive, for to do otherwise would have caused the Rao to engage in constant battle among themselves to maintain their population at the proper levels. 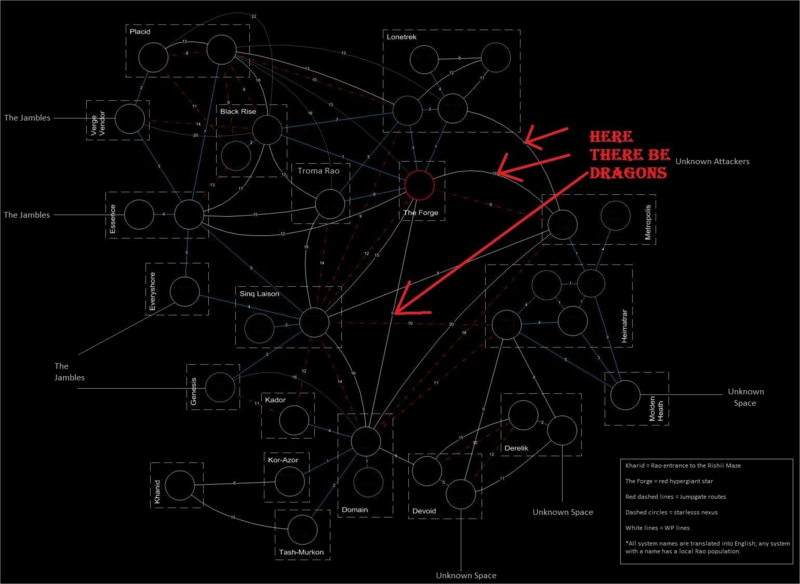 Even in space, warring factions of Rao battled one another to prove their superiority or to seize a colony or resource. Several years ago they were discovered by a vastly more powerful and vicious foe, who bombarded all the Rao Center Worlds into oblivion, with only a few deeply dug-in Rao surviving on their homeworld. For the Habitat for Humanity series, I wanted a bunch of scenarios that weren't "canon". I also wanted them to be able to have alot more WARS! 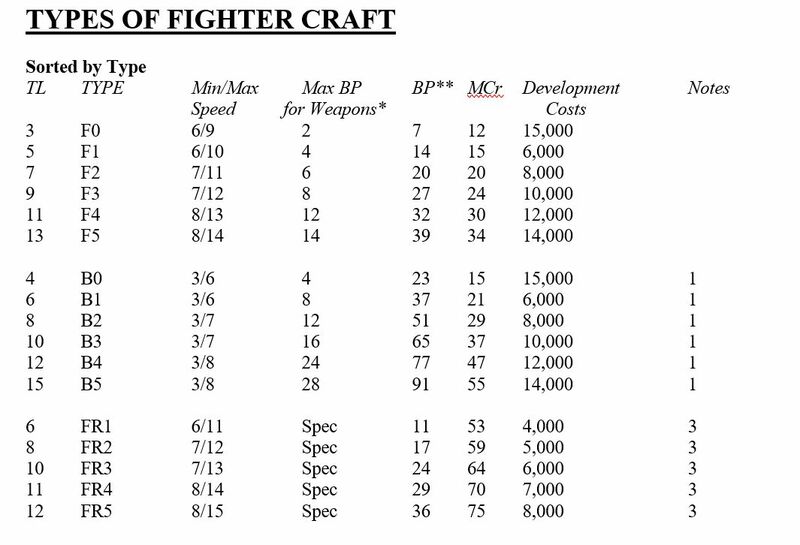 In the Terran Fed universe, you dont have many combat options (the Tangri, the Bugs, or maybe the Rigelians if you are going waaaay back). With the Habitat, there is lots of conflict and the humans have allies like the Naram or Baufrin, or Ssora. I will be putting out some final info on these races and a few minis-cenarios so stay tuned! *The Dionii and Mechanoids are from the Palladium universe crowd, go check them out!